*to enhance thinking – in short, to improve our lives in many ways. Here at Aquarius, we integrate music into nearly everything we do to tap into this “additive power” and enhance your overall experience. This patented technology uses multi-layered audio signals to trigger unique brainwave activity. This makes the left and right hemispheres of your brain work together, or in synchrony, in ways that can aid meditation, support relaxation, elevate concentration, enhance sleep, lower stress levels, improve memory, support healing and stimulate creativity. 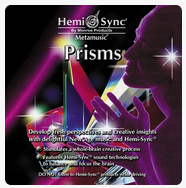 This collection of New Age compositions combines Hemi-Sync® sound patterns with guitar, flute and keyboards. Special blends of Alpha, Theta and Delta frequencies slow excess mental activity and promote profound relaxation. Ideal for meditation, stress management and creativity. Please note: While many Hemi-Sync® products contribute to wellness, they are not intended to replace medical diagnosis and treatment. Do not listen to Hemi-Sync® while driving or operating heavy equipment, or with other devices that may influence brain-wave activity. If you have a tendency towards seizures, auditory disorders or adverse mental condition(s), do not listen to Hemi-Sync® without first consulting your physician. In the unlikely event that you experience any unusual physical or mental discomfort, discontinue listening. All warranties whether expressed or implied, including warranties of merchantability and fitness for a particular purpose are disclaimed.